It's Monday so its meal planning with At Home With Mrs M, my chance to get sorted and start the week as I mean to go on, organised! Last week's Singapore Vermicelli was delicious! And as promised the recipe can be found here. I didn't get to the sushi, but will very soon. So planned but not very Slimming World. Amy's leaving do, to celebrate her getting a job in London will involve a lot of cocktails and Sunday will be a meal on the road followed by lots of tears as I drop her off somewhere in London to start the job on Monday. So, I have a feeling the two pounds I lost this week (now just 1 pound shy of the elusive 4 stones) may be put back on! But hey ho, that's the way it goes and its not very often your daughter moves from home properly! Check back next week to see how much I do actually put on! 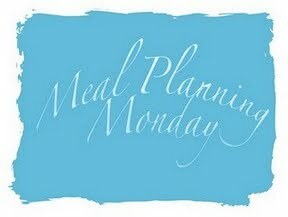 And don't forget to look at some other meal planners for inspiration!